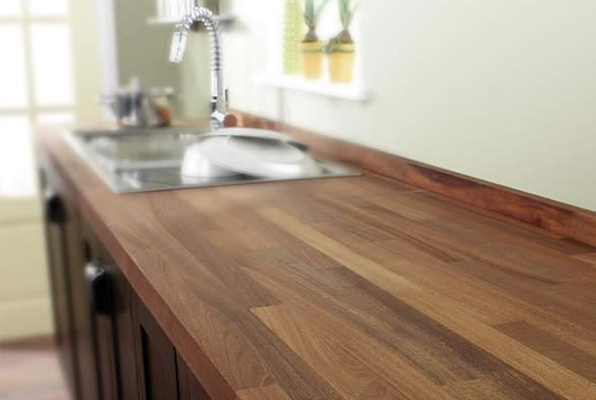 Wooden worktops can be designed to accommodate features such as Belfast sinks, edge profiling, cut-outs for hobs, drainer grooves and shaped ends. They can also be designed to be as functional as it is stylish, perfect in kitchens. Our wooden worktops are precisely assembled, constructed from 40mm solid timber staves and carefully crafted to ensure maximum strength and durability throughout years of constant use. The kiln dried timber is finely oiled to create a beautiful water repellent surface that will mellow with age. After the initial treatment only simple maintenance is required to retain the looks and characteristics of solid wooden worktops. Common sense care and an occasional re-oiling will help to maintain the beauty and water resistance. Wood is a natural product and ideal for worktops, which with regular care, becomes more and more beautiful over the years. This living material feels good, spreads warmth and guarantees a pleasant room climate. It can be repaired, altered or revamped. No one can resist the atmosphere of solid wood. Its inimitable surface urges you to touch it at once. Our worktop range will leave you spoilt for choice when planning your new kitchen. We offer nine different attractive types of ranging from beech, the classical and commonly used wood surface at a lower price level, to Walnut which belongs to the premium price segment. A speciality of this programme is bamboo worktops which is a kind of grass in the botanical sense. Bamboo can be reproduced very quickly and is permanently available. It is used in different fields all over the world. There is no raw material which is harder, more elastic and more robust. The bamboo in our collection has a warm caramel colour. 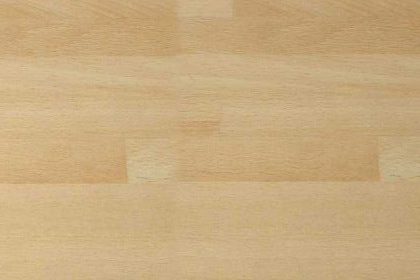 Beech wooden worktops are very popular and seen a lot over recent years in all types of furniture. Beech is pale, light tan wood with darker colour flecks which add to the character. It is between Maple and Ash in style and colour. 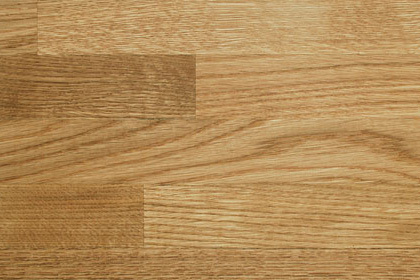 Oak worktops are extremely strong and durable and usually have some 'character' particularly in long lengths. Oak worktops may include a few small clean knots. Oak will simply last forever with maintenance and will consistently look better year by year. 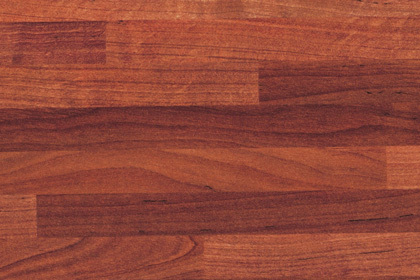 Cherry is in our experience one of the best wooden kitchen worktops. After six months Cherry will deepen in colour until it becomes a rich, bronze, ochre. It is a perfect choice for kitchens, particularly if you are looking for a darker wood with a decorative grain pattern. 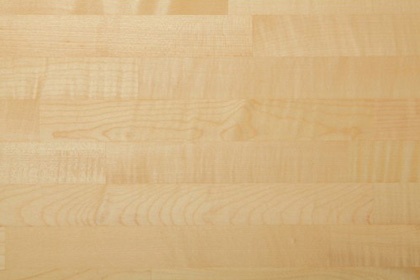 Maple is an excellent straight grained white wood ideal for kitchen worktops. The colour and grain pattern tends to be very consistent, wide and uniform apart from a bit of colour here and there. It is also very popular as a wood for kitchen doors. Iroko is very stable and is a solid, heavy timber from Africa, similar to teak. It is naturally oily so has a head start for the maintenance programme. It starts pale brown but deepens quite quickly to a rich brown. Often used as a contrasting wood to compliment paler cabinets or floor. 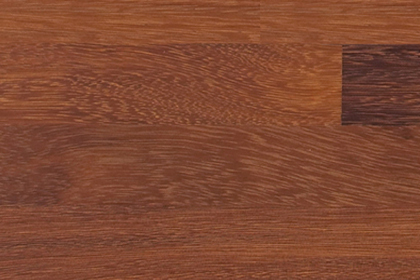 Walnut is a classic European hardwood of immense character and warmth. 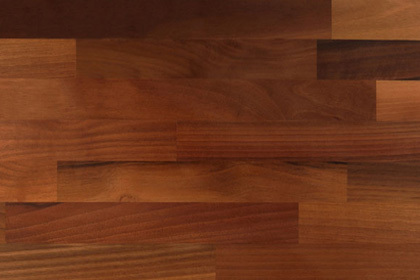 Our Walnut kitchen worktops have fantastic grain patterns and colour variation. 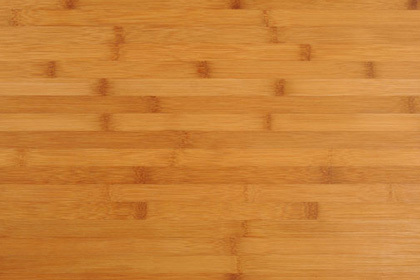 Bamboo kitchen worktops are supplied square edged and sanded to a super smooth 150 grit finish. Natural Bamboo worktops feature full length narrow 7mm wide staves which run the full length of the worktop, (not finger jointed, cheaper, poorer quality as found on other websites), these are the new European specification offered for sale in the UK for the first time. These will add a visual impact 2nd to none to your kitchen. 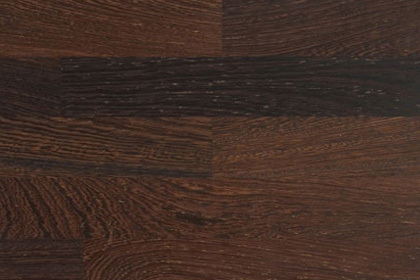 Wenge wooden worktops are a very beautiful exotic dark hardwood. 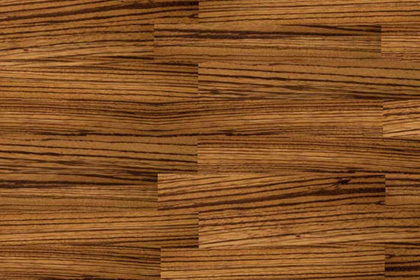 Wenge is extremely dense and hard wearing with a tight structure of nearly black grains separated by dark brown grains. A Grade - The Highest quality available on the market.